Synopsis: “Lost and broken, Celaena Sardothien’s only thought is to avenge the savage death of her dearest friend: as the King of Adarlan’s Assassin, she is bound to serve this tyrant, but he will pay for what he did. Any hope Celaena has of destroying the king lies in answers to be found in Wendlyn. You guys have NO idea how excited I am for this book. There are just not enough words to describe my excitement. I have been following this series from it’s first draft on FictionPress, and my favourite part has always been when Celaena heads over to Wendlyn. I remember Wendlyn to be such a magical place, and I just can’t wait to dive back into this world. I’ve already preordered my copy of the book, and now it’s time to play the waiting game. So excruciating! 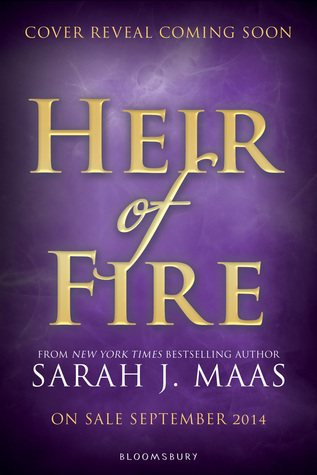 Are you also highly anticipating Heir of Fire?